"Jennie and Sammie both had such a good time this week. I hope they helped enough. they both talked all the way home every day about the kids, Paytonisms and how much they enjoyed it. Jennie has worked several summers at horse camps but never talked about how nice it was until this week. Thank you too for including them with the crafts and shirts and pictures. They both thought that was so nice. Jennie will no doubt sleep until sunday but she really enjoyed it. Tell Maggie to hold on now until we get back!!! If by chance she has the foal let us know by email or texting. We are at my parents so we can ck the email. Good luck with the open house, we are all really sorry to miss it. Thanks again." "thank you so much for sharing! Good grief, I think my mom already has Macy's up on facebook. Grandmoms! Also, I wanted to send you a note and thank you for last week. Macy had such a great time. She was totally depressed Friday evening, missing you all and the fact that camp was over. The farm has great atmosphere and the stable is beautiful. Love those brick floors! " "Thanks so much. The girls wanted to come back every day! And Margaux was insisting that it wasn't an hour! They really loved it and seemed like they already knew what they were doing! We will see you in two weeks!" "Thanks for being so accommodating. Taylor is doing so well with you and it’s nice to be able to connect with the person you are learning from." "Mallory had a great time at camp last week. She seemed like she learned a lot! She is looking very forward to coming back!" "Your rates are very reasonable!!! Having had horses in" the past I know the costs are crazy and running a business with them is really hard. Both Jennie and I love having you teach her and her confidence is coming back. With your teaching style it won't be long before your overrun with students!! It is so nice to have some common sense thrown in with good sound horsemanship and presented calmly and nicely. Thanks for all you do, it really is noticed and appreciated!!! 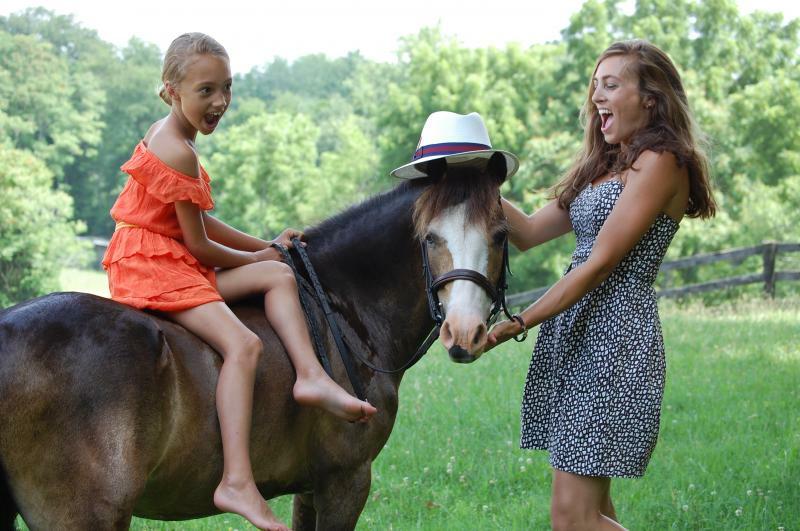 We are a fun family-like barn and we have all of the amenities of a commercial facility. We have endless ride out, lush grassy fields, xcountry jumps, a gorgeous sand ring with jumps, large barn, wash stalls, tack room and a comfortable lounge to relax in. 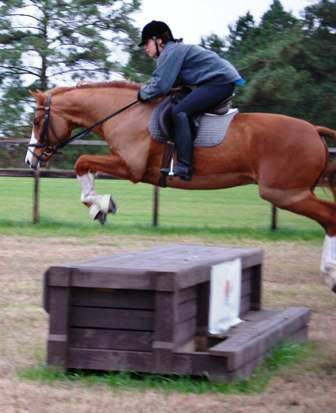 Our students thrive and flourish with our intimate approach through all levels of riding. Members of our barn family enjoy our fun goal oriented approach to learning. We are a close knit group and we cater to each student's individual needs and goals. Many lesson options... Trailer in, we'll travel to you or ride our quality schoolies. We always have a nice selection of school masters available for lessons on our farm.